Sara Ali Khan's Vacay Videos Prove BFFs Who Work Out Together, Stay Together! According to the French writer Simone De Beauvoir, "There is something in the New York air that makes sleep useless." This surely holds true for Sara Ali Khan who is currently holidaying in the beautiful city of New York. The actress took her friends to Corepower Yoga, her favourite workout place in New York. Sara flaunted her oh-so-perfect midriff, as well as her million dollar smile and we're totally digging her yoga look! 'Coz Sundays Need To Be Celebrated! Sara's romance with New York City is not a new affair. 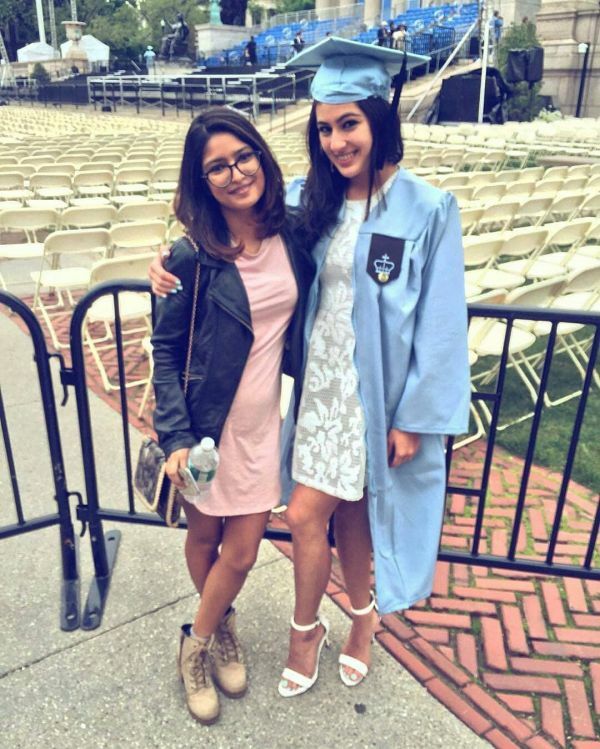 Before kick-starting her career with Kedarnath, Saif Ali Khan's daughter completed her graduation from Columbia University which is located in Manhattan. From Sara's Instagram documentation of her trip, she is clearly having the time of her life reconnecting with her college friends! In an earlier interview, Sara explained how she realized that she was cut out for Bollywood: "I wanted to become an actor since the age of 5. I was quite convinced about that. I was also very studious, I got my degree from Columbia University, studied law, political science and after doing all this I realised what rush acting gives me, all this doesn't for sure." So Sara Ali Khan's trip to the US was more than just a vacation with friends. It was a trip down the memory lane! After delivering two successful films, this sure seems like a well-deserved break! On the work front, Sara Ali Khan will be seen opposite Kartik Aaryan in Aaj Kal, which will release on Valentine's Day in 2020. The actress has also been roped in for the sequel of Coolie No.1, which also features Varun Dhawan.